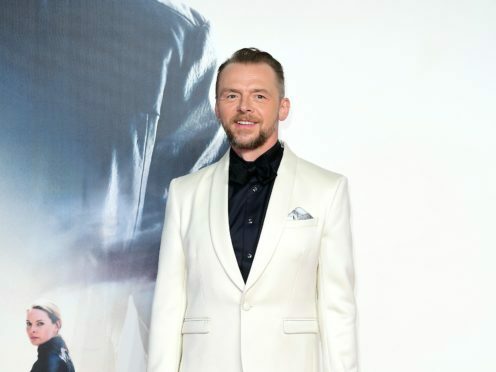 Simon Pegg has said the news that Tom Cruise had broken his ankle while filming the latest Mission: Impossible film came as a “relief” because he feared something worse would happen to his co-star. The British actor, who plays Benji Dunn in the blockbuster franchise, said he had tried to convince the Hollywood star not to do some of his more dangerous stunts for their latest film, Mission: Impossible – Fallout. He told the Press Association: “It was a relief, because I honestly expect worse texts than that. Pegg added that he genuinely feared for his co-star in some of the more extreme stunts in the film, saying: “Particularly when they did the helicopter stunts. “When he did the Halo jump there is a parachute, you can feel OK about that, when he does the hanging out of the helicopter you know he’s attached to it somehow, just in case he accidentally lets go. Over 100 jumps – we got it. “With the helicopters, if they stall they drop and that’s it, and they had three weeks of it. Cruise broke his ankle jumping between buildings while filming a chase scene in London and production was put on hold until he could run again. Pegg said: “The thing about Tom Cruise is he cares so much about the audience and the audience’s response, he’s so committed to making films, that he will literally put his life on the line in order to get it done or to deliver something which no-one else does. “I care about my job and I care about the audience and I care about their experience, but I don’t know if I care that much. “Me and Rebecca (Ferguson) both had conversations with him, like, ‘Are you sure you want to do this?’, but this is an age when you can do anything on screen, anything with CG, you can make fantastic environments and creatures and things happen that the human body can’t do. “But when you watch that you have the subconscious knowledge that it isn’t real. “You suspend your disbelief willingly and you enjoy it, but it’s not real.